Do you have a voucher for a free copy of Algy 2? Learn how to load it, register it and use it. 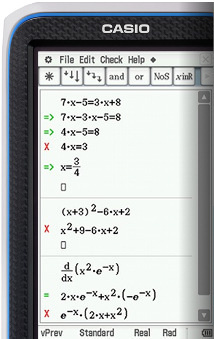 Algy 2 is the only software available that checks your steps of working for both mathematical expressions and equations. Find out more about how to use your Casio ClassPad from these helpful websites.